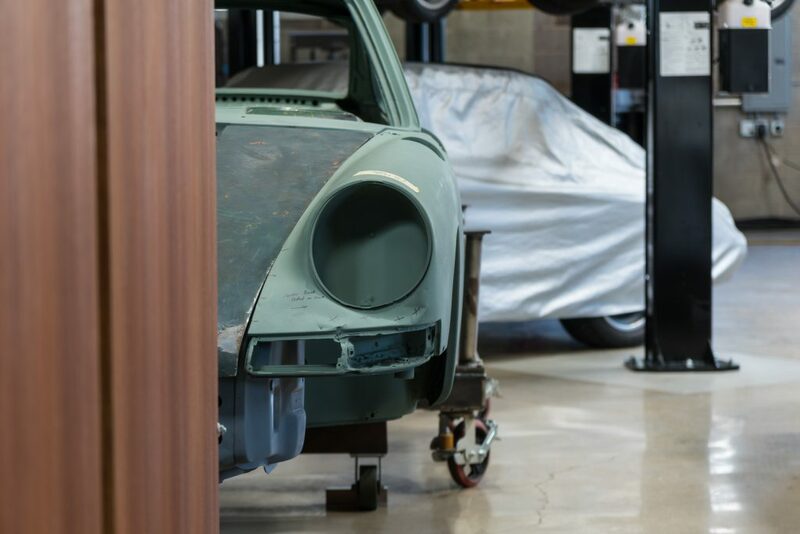 It’s not every day you get the chance to see a Porsche 911 T up close and maybe even have the possibility of driving it … but that’s what happened when KW brand ambassador Sidney Hoffmann stopped by the Workshop 5001 in Los Angeles. Even though we had been there several times before, on this visit we had the pleasure of meeting this nardo-gray beauty. 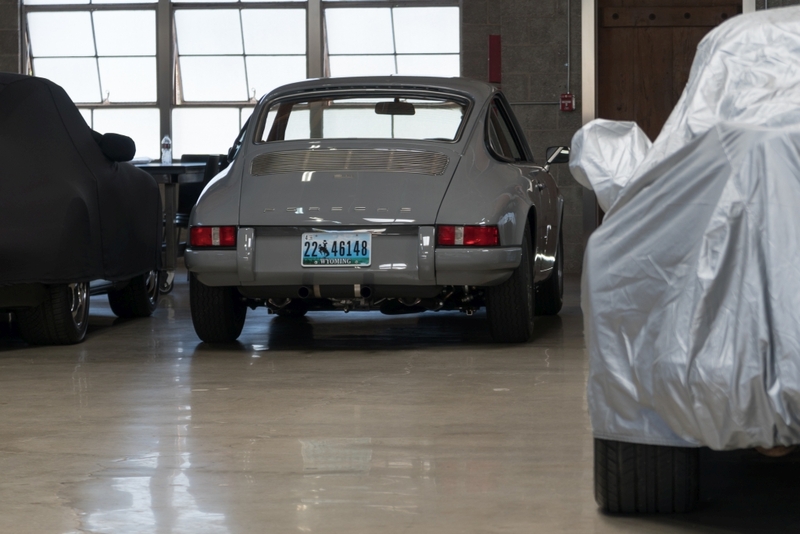 The old warehouse with its classic roof truss is the same location where we shot our exclusive KW Porsche poster by John Pangilinan, captured in a feature story by Andrew Ritter of StanceWorks. Within eight months, the Workshop 5001 boss, Marlon Goldberg, together with his mechanics have set up this “F-Model” for a customer. 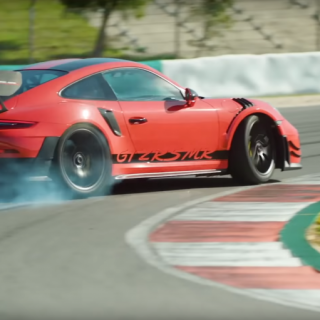 If you hear the name Goldberg and Porsche in the same sentence it may have a distinct ring to it but you may not be able to quite put your finger on why. Shall we help a little? 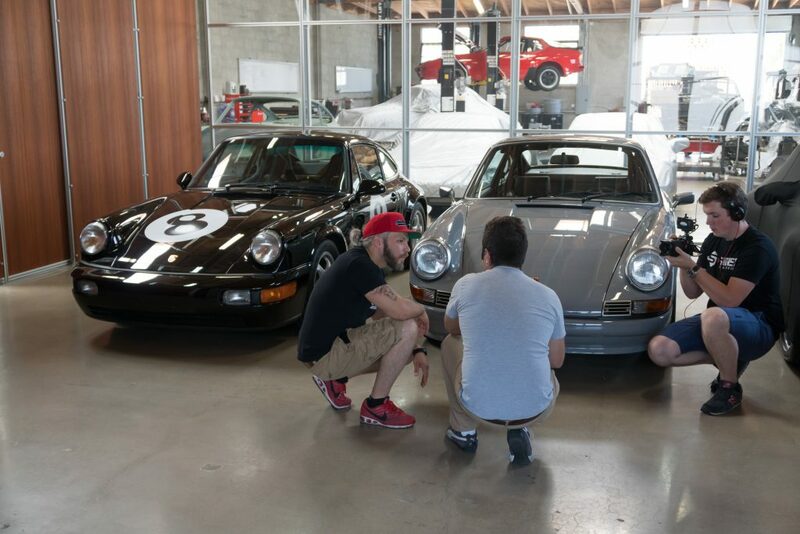 Marlon (center) was working for a little more than two years for Singer Vehicle Design as a mechanic mainly responsible for the “modernization” of the Porsche 964. 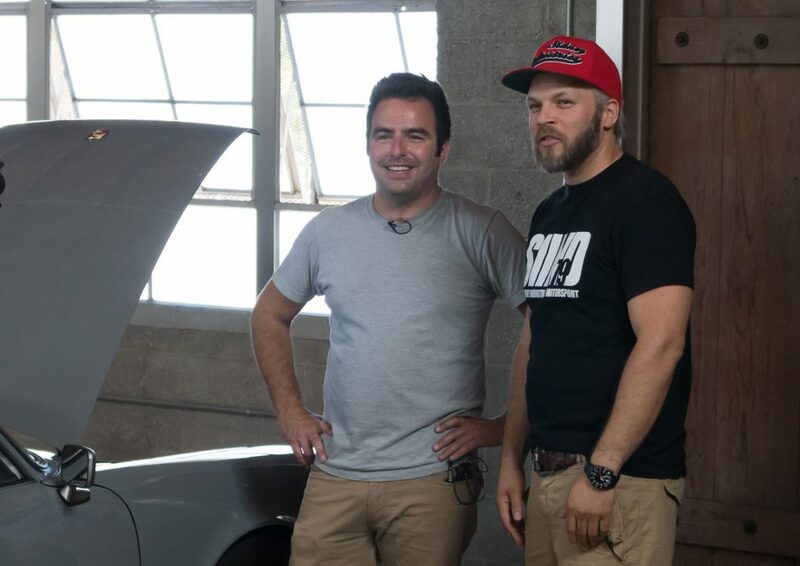 After a little more than two years Goldberg started his own workshop. 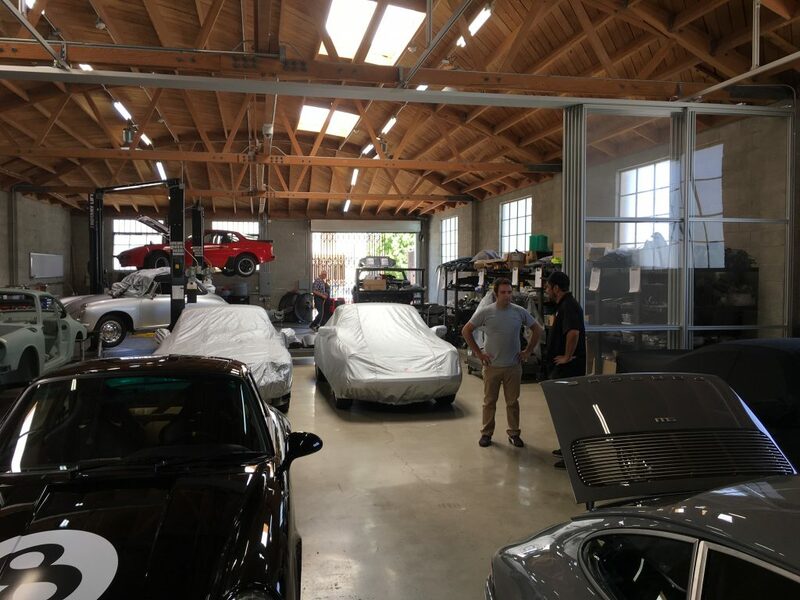 Goldberg thniks his “Euro-Car-Import-Family” roots is probably the reason he has such a fascination for Porsche. 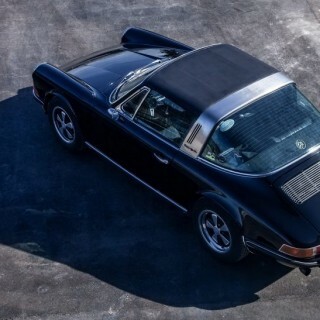 The 911 is only a couple years old, being from 1973. 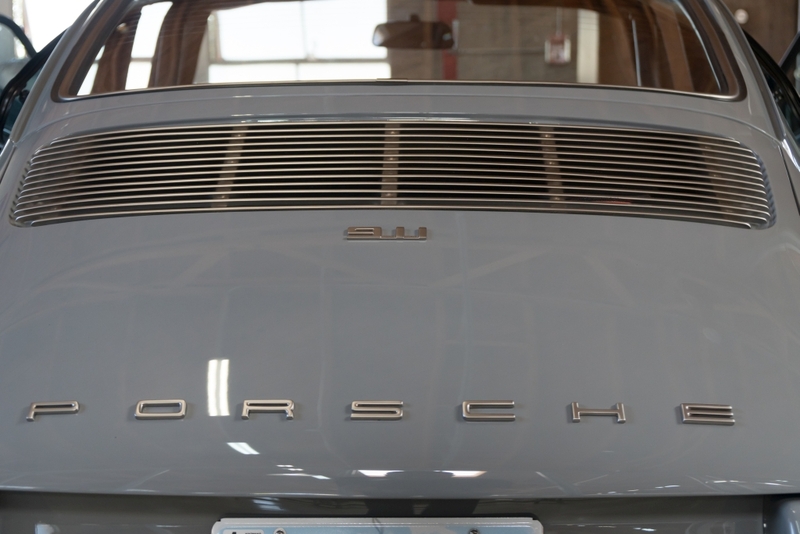 But Marlon and his team have completely restored the Porsche for a customer. 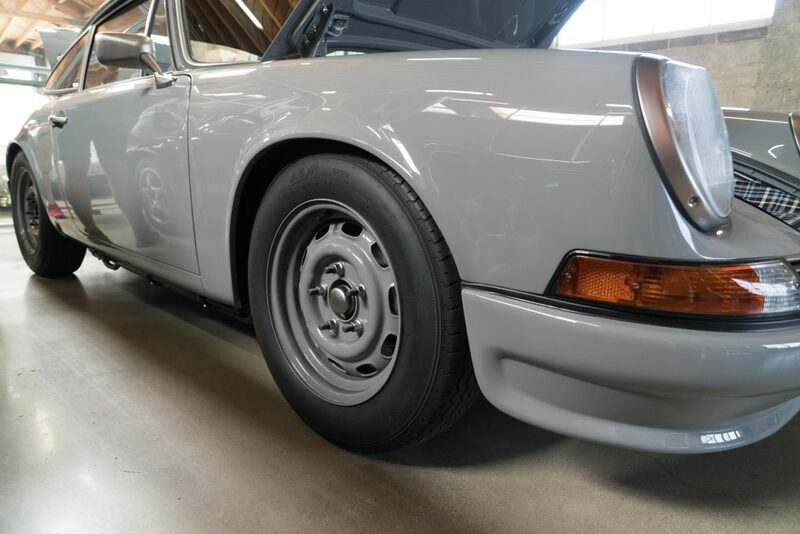 “We have dismantled the Porsche into its single parts and freed the car body even from its rare paint ‘Royal Purple’ (code 341) at the customer’s request.” Seriously? Royal Purple must have been the German color name lilac at the 73 911? “I think so,” said Marlon. 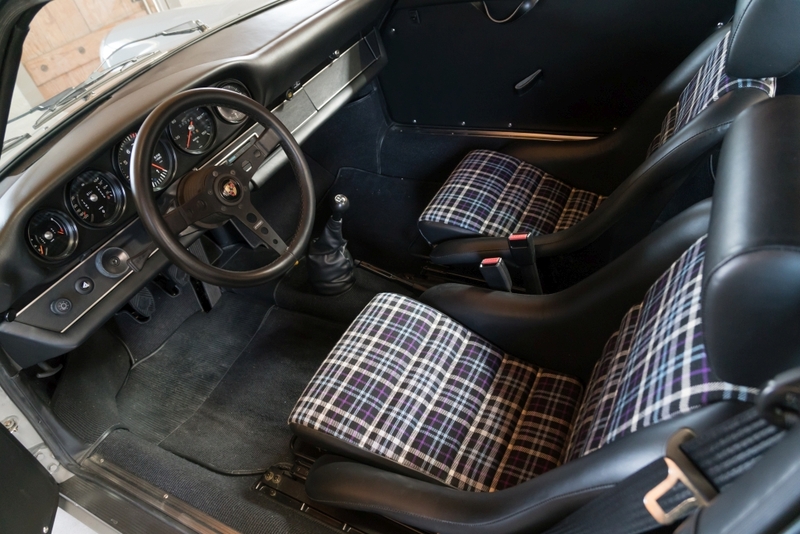 “But to make the purple still appear somehow at the car again, we have discreetly included the color code in the interior.” The used fabric, for example, comes from a tailor in Scotland that is sewing custom-made kilts. “We have also welded a roll-over bar, renewed the entire electronics and of course also worked on the engine,” Marlon smiles. The engine comes from a 1986 Carrera 3,2 without Kat with 231 hp. Of course the boxer was reworked elaborately. 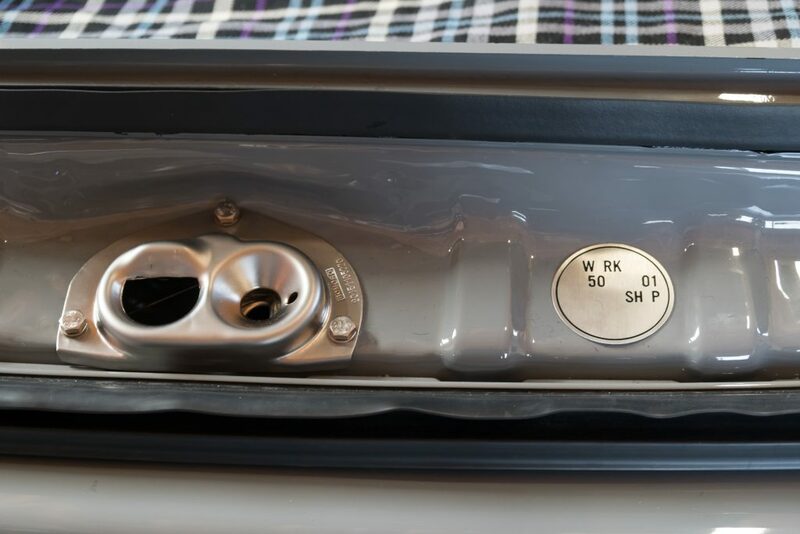 The displacement was extended to 3,4 liters. The Americans used Mahle Motorsport cylinders, CP Carrillo connecting rods and pistons. The valves and valve springs have been replaced by motorsport components made of titanium and the camshafts are custom-made. 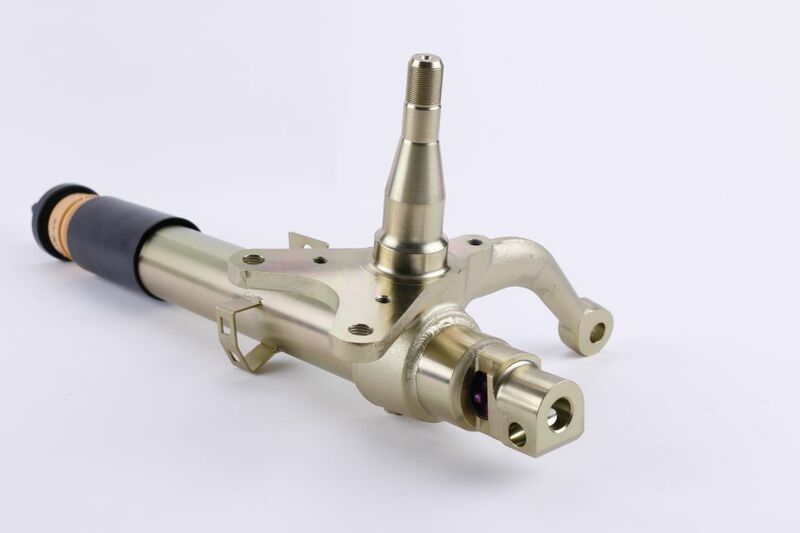 The throttle valves came from Jenvey and a lot more followed like the oil pump of the GT3 and the Motec M84 engine electronics. 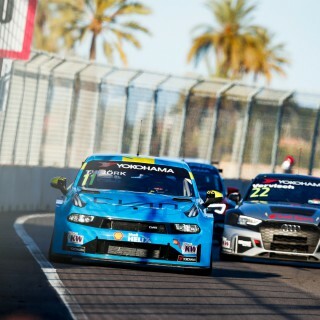 Today, the maximum performance is 304.9 hp at 7300 rpm. 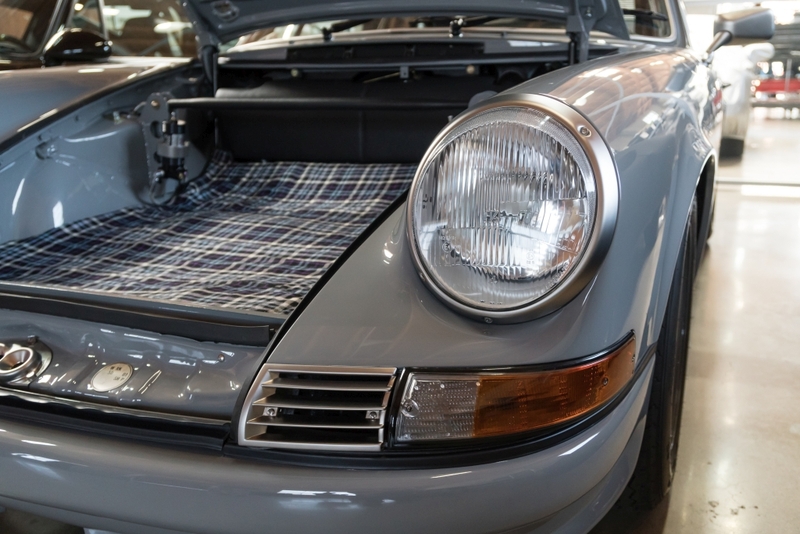 Let´s close the hood again and crawl under the Porsche, because there the engine looks even more spectacular. 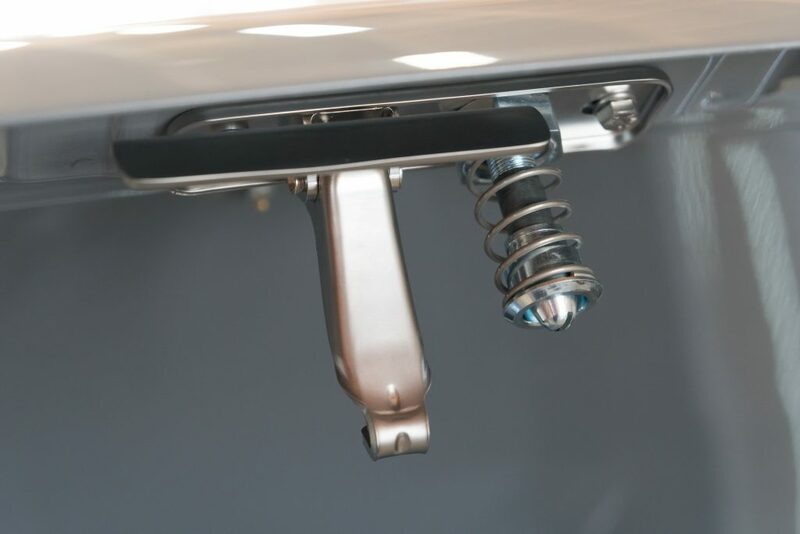 For the suspension kit, a KW Competition 3-way racing sports suspension in an inverted monotube configuration was specified for use. 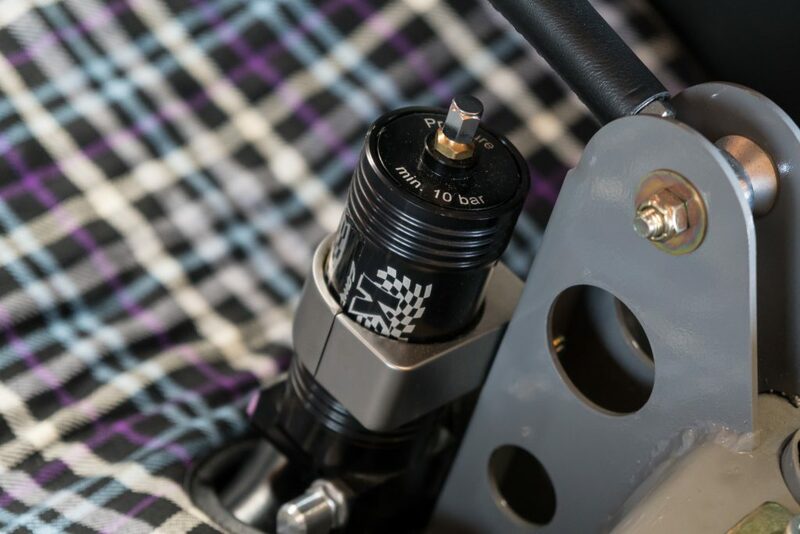 The expansion reservoirs, with their valve settings for the low-speed and high-speed compression stages, are mounted at special hand-made brackets in the fond. 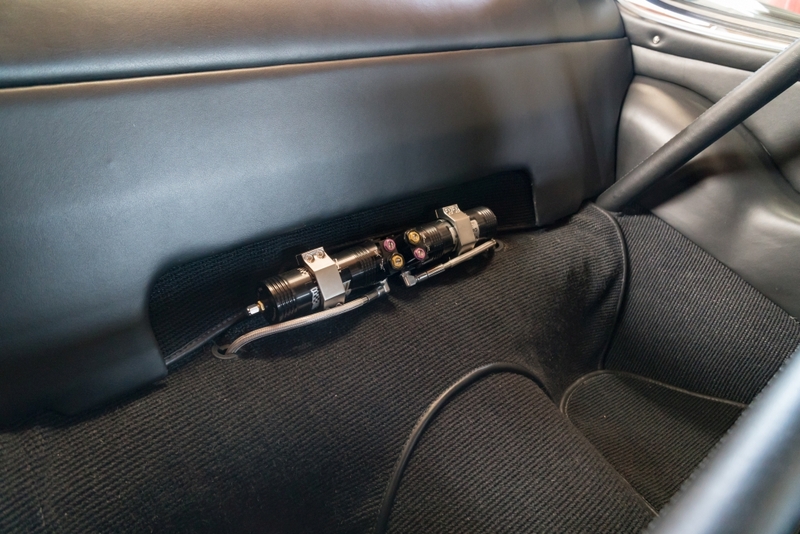 The setup for the suspension kit was designed on the customer’s request for asphalt rallies, so that the 309 hp strong classic bring even more smiles on the winding side roads in the Santa Monica Mountains. 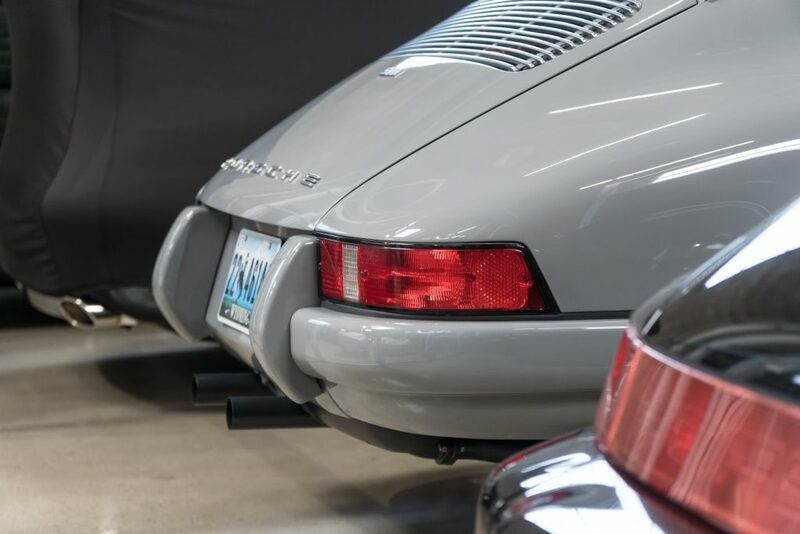 For the classic Porsche, we have not only have developed motorsport suspensions, but other suspension solutions (on the right of the image, for example, a KW Variant 3 for the Porsche 911 G model), in which the torsion bar springs can still be used. To find out more, simply watch the YouTube video above. 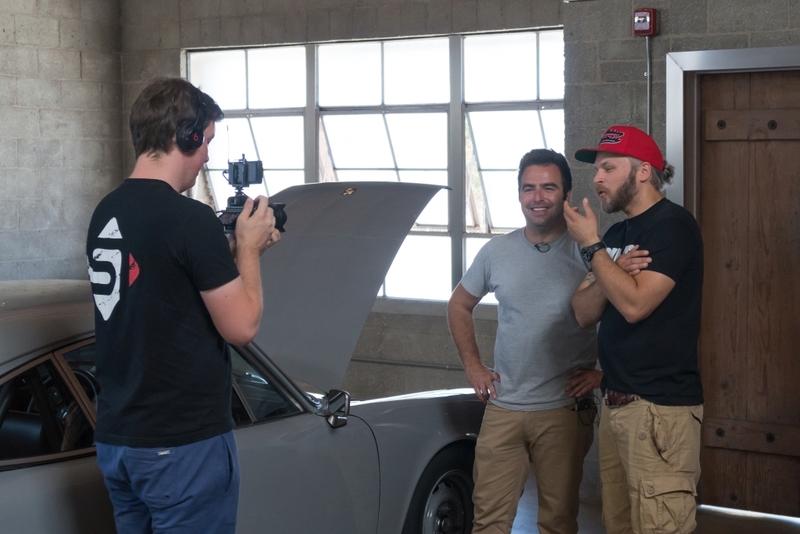 Here our colleague, Klaus Frank, from the suspension development team explains our “classics delivery program” especially for legendary Porsche. But back to the Workshop 5001. 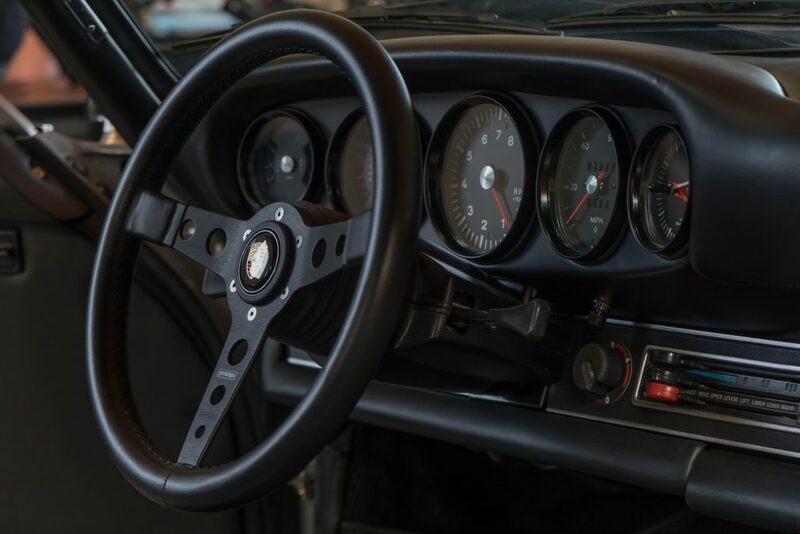 Normally, you would expect the style-defining and legendary fox rims (Fuchs) on a classic Porsche 911, but Marlon had a far better idea. 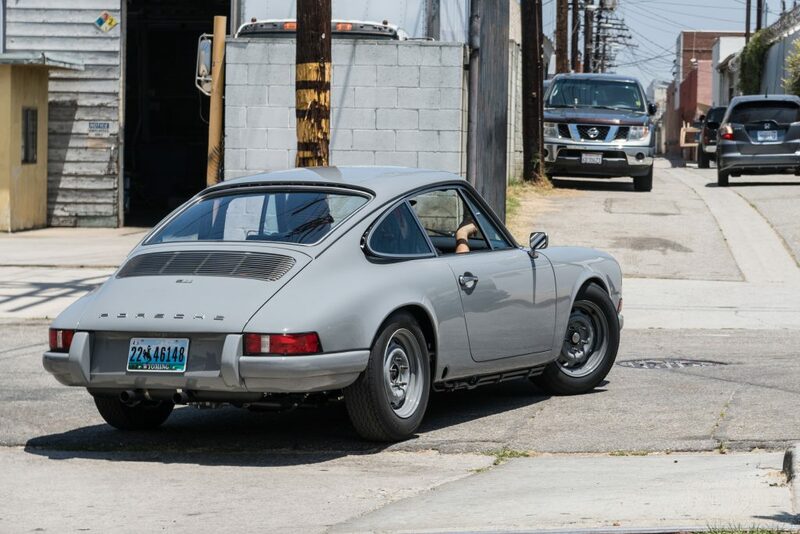 He mounted 6 x 15 inch Porsche steel rims and painted them nardo-gray, just like the body. You often hear the prejudice that in the USA the paint jobs are not as clean, which is probably because of the “car-junk-food”-show “Pimp my Ride” that is luckily not on anymore. 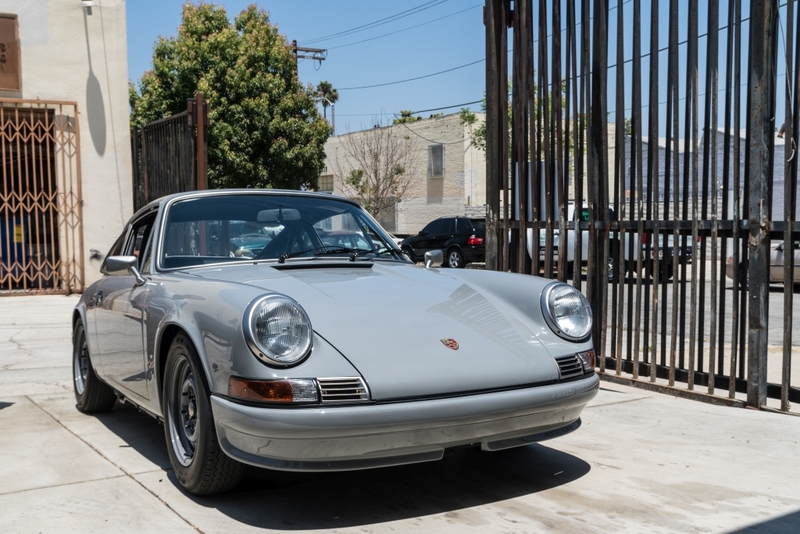 Although on this 911 T, the paint job was applied meticulously, and in the light of the California sun we can see just how great the color works. Marlon even took Sidney on a short tour and you should have seen his face after that.